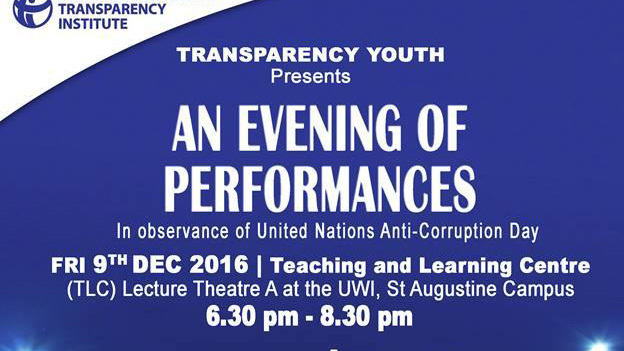 Transparency Youth will be hosting an Evening of Performances to commemorate United Nations Anti-Corruption Day at the Teaching and Learning Centre (TLC) Lecture Theatre A at the University of the West Indies, St Augustine Campus, from 6:30pm – 8:30pm. Admission is Free Free Free! Don’t miss it!